Magellan, flagship of British-based Cruise & Maritime Voyages, is to make its forest round-the-world cruise in 2017. The 1,250-passenger ship will undertake a 120-night west-bound voyage to the Caribbean, the Panama Canal, French Polynesia, Australasia, south-east Asia and the Far East, India, the Red Sea, Suez, the Holy Land and the Mediterranean. The cruise leaves London Docks at Tilbury on 5 January 2017, and returns on 5 May. Early-booking saver fares start from £8,999 per person (£75 p night). Superior cabin grades start at £13,629, and solo passengers pay a 25 per cent supplement. Top fare, for the Royal Suite, is £33,309. Nine shorter sectors are available, joining the ship in Auckland, Sydney, Hong Kong and Singapore. Commercial Director Chris Coates said; “The introduction of Magellan in 2015 has considerably broadened CMV’s market appeal and level of interest for our product with record sales achieved this year. Magellan is the perfect sized vessel for this special long haul itinerary. Her generous passenger space ratios with spacious lounges and public areas, three dining venues and extensive deck space and observation points, make her the ideal world cruise choice for 2017 backed up by some really strong price incentives to reward early bookers”. The World Cruise programme goes on sale today and also features 2016-17 voyages on the company’s Astor’s between London Tilbury and Auckland, Sydney, Adelaide and Fremantle. 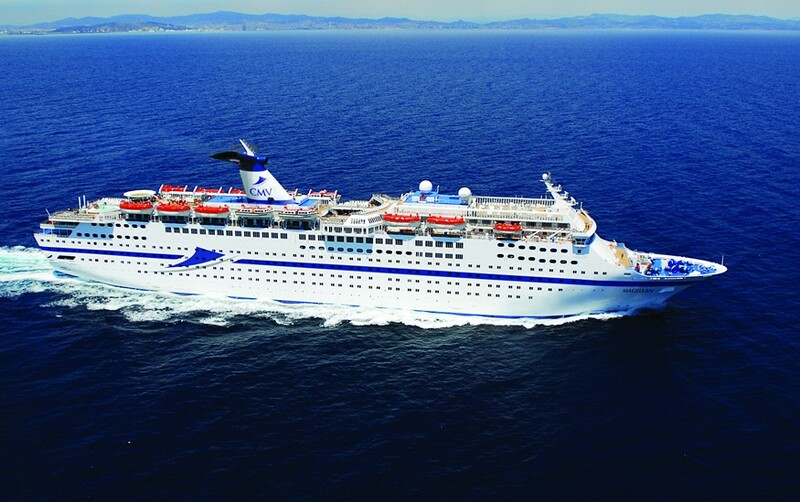 Passengers sailing on Magellan’s 49-night southbound world cruise sector from Tilbury arriving in Sydney on 23 February, 2017, could choose to return on Astor’s northbound voyage via South Africa from Fremantle on March 15, arriving in Tilbury on 23 April 23. Combination early booking fares start from £6,079 or £69 per person per night for an 88-night voyage combination with the chance to spend three weeks in Australia.